Sunday June 11, 9:00 a.m.-3:00 p.m. Visit the Maxwell Street Foundation at the Maxwell Street Market near the Main Stage area. Purchase books, T-shirts and posters commemorating Maxwell Street history! The Maxwell Street Market is in its 105th year of continuous operation as Chicago’s official open-air Market, and is open to the public free of charge. Make the trip to the Near West Side where Chicago Blues was born, and find ethnic food and bargains at the Market! 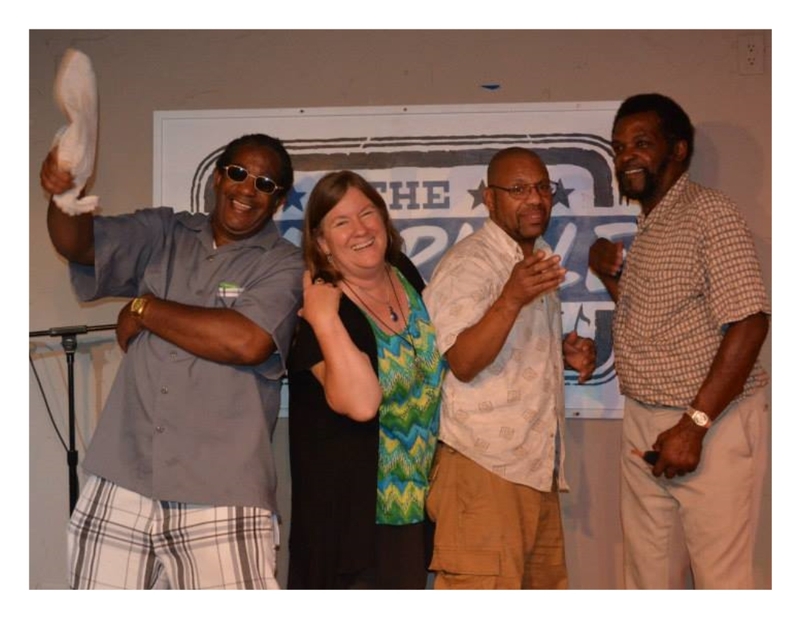 Hear authentic Maxwell Street Blues music performed by Low-reen and the Maxwell St Market Blues Band on the Main Stage! Note: Due to construction the Maxwell Street Market will take place on Desplaines from Polk to Taylor Streets, and there is limited FREE parking on Desplaines from Harrison to Polk, and on Desplaines from Taylor to Roosevelt. For more information contact info@maxwellstreetfoundation.org, (312) 243-0394. All images published by the Maxwell Street Foundation within this website are copyright of the artist and are for educational, personal, and/or noncommercial use only. For any other use, please contact gro.n1555619427oitad1555619427nuoft1555619427eerts1555619427llewx1555619427am@of1555619427ni1555619427.